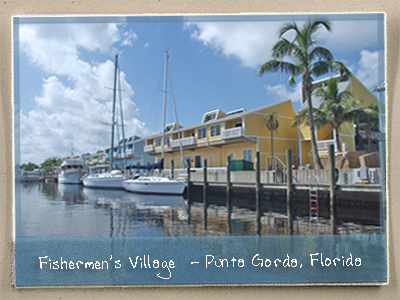 We invite you to visit us at either of our two Southwest Florida locations in Punta Gorda and Venice. Captain's Landing first opened its doors in the fall of 1995 in beautiful Fishermen's Village located in the heart of historic Punta Gorda, Florida. Just north of Ft. Myers and set alongside scenic Charlotte Harbor, Fishermen's Village offers waterside shopping, dining and resort accommodations including an award winning full service yacht basin. Whether you come by land or sea, a wonderful day planned around your shopping and dining pleasures can be had at Fishermen's Village. For more information about Fishermen's Village and all that it has to offer please click here. In October 2005, we opened our second store and later moved into our current location which also serves as our home office in the charming downtown city of Venice, Florida. Nestled just south of Sarasota on the beautiful Gulf of Mexico, Venice is a friendly and vibrant place that harkens back to a time when downtowns were always alive with activity, serving as the focal point for the entire community. Just three blocks from the gulf and situated alongside the scenic palm tree lined avenues of specialty boutiques and restaurants, where else would we want to be. 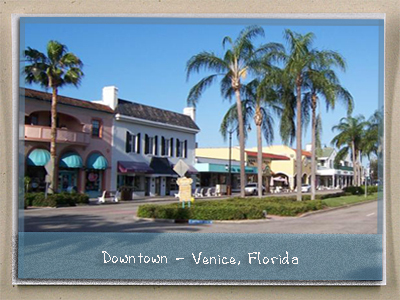 For more information about downtown Venice please visit Venice Main Street by clicking here.